It's not every day that a new player emerges in the smartphone scene. It's also not every day that the new player captivates consumers across the world. Android co-founder Andy Rubin's Essential has gotten off on the right foot. The new company's first product is a phone, called simply the 'Phone'. You wouldn't be surprised to know that it runs the Android operating system. What phone company would aspire to launch a world-beating smartphone without top of the line specifications? 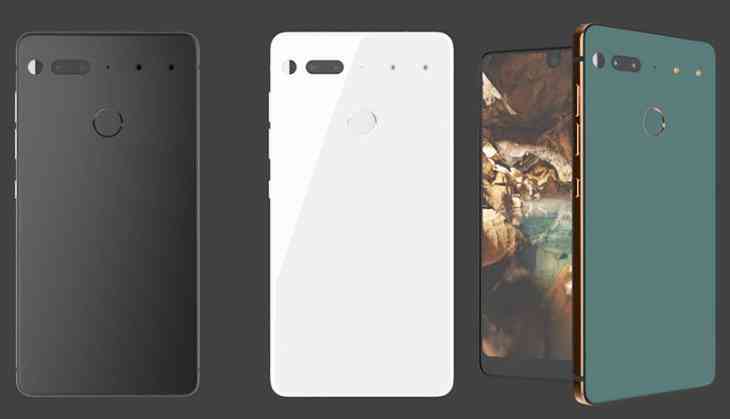 The Essential Phone follows Samsung's Galaxy S8, packing in a 64-bit Snapdragon 835 CPU and 4GB of RAM. It flaunts a 5.7-inch edge-to-edge QHD display with a 19:10 aspect ratio. For protection, it comes with Corning Gorilla Glass 5. The internal storage option is a whopping 128GB. A 13-megapixel dual camera is at the back of an 8-megapixel front camera. There is a 3,040 mAh battery under the hood and all the connectivity options you can imagine. There is no 3.5mm headphone jack but there is a Type-C port for charging. The phone weighs less than 185 grams and runs on Android Nougat 7.1.1. The Essential Phone will be joined by a whole host of modular accessories a la the Moto Z. According to Rubin, these accessories, "keep your phone cord-free, future-proof, and always up-to-date." It has a miniature 360* camera capable of 4k recording at 30fps. There is also an Essential Phone Dock for wireless charging. These snap onto the top of the device with two pins. The mods attach almost invisibly. The phone has a ceramic and titanium body built specifically for durability. Just like the Google Pixel before it, there is a fingerprint scanner on the back which is "the fastest recognition technology available". There is no logo on the front or back. There is, not one but two, rear-facing cameras. There is a 13-megapixel colour sensor and a 13-megapixel monochrome sensor. Monochrome sensors capture much more light than colour sensors. Therefore, photos will come with much more detail than you'd traditionally expect. There is also a true mono mode that will be included for all those black-and-white photos you wanted to take. As mentioned above the slimness of the phone means that the headphone jack is not present. There is a USB-C headphone adapter in the box though. As for water resistance, well, there isn't any mention of it on the product page. The Phone will ship in four different colours - "black moon" and "pure white" to begin with and "stellar grey” and a muted green "ocean depths" at a later stage. Rubin announced that his Essential Phone will ship within the next 30 days. The announcement was made onstage at Recode’s Code Conference. Essential Phone PH-1 costs $699. Bundled with the 360 cameras it will cost $749. The 360 camera alone will come for $200. Right now, the phone will be launching in the US only. It will also be available exclusively online. Essential Home and Ambient OS will have a new smart assistant. The new assistant will also run on the Essential Phone. Rubin did say he's willing to support all other assistants as well though. Essential Home, Essential's Amazon Echo competitor will run on Ambient OS. The Ambient OS smart home platform will be open source. According to Verge, the goal of Ambient OS is to understand the "physical layout of your home, its occupants, and the various services and devices available to them. Ambient calls this 'activating' your home, and says the Ambient OS is an 'API' to all those things in combinations". Not much else is known about Ambient OS, except that in the beginning, it will be home-focused.